Critics warn that the Supreme Court’s expansion of the power to deny bail when necessary to maintain public confidence will fill overcrowded jails with accused who are neither dangerous nor likely to flee before trial. Justice Richard Wagner’s 7-0 ruling May 15, in R. v. St-Cloud  S.C.J. No. 27, interprets broadly the discretion of justices of the peace and judges to deny bail when doing so “is necessary to maintain confidence in the administration of justice” (Criminal Code, s. 515). At the same time, the Supreme Court narrowed reviewing courts’ discretion to set aside bail judges’ decisions to deny bail or release accused (in practice, most reviews are triggered by bail denials). 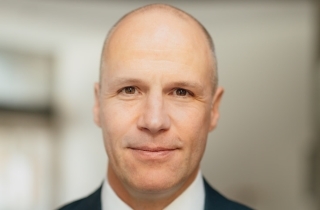 The reasons for judgment strike at the Charter-guaranteed principle of the presumption of innocence, said John Norris of Toronto’s Simcoe Chambers, who with Christine Mainville of Henein Hutchison represented the intervener Criminal Lawyers’ Association (Ontario). The CLA and intervener Canadian Civil Liberties Association (CCLA) argued that the application of s. 515(10)(c) should be circumscribed to “rare and exceptional cases,” a position flatly rejected by the court. Thirteen years ago, in R. v. Hall  S.C.J. No. 65, Norris narrowly lost a constitutional challenge to s. 515(10)(c) based on the Charter s. 11(e) right not to be denied reasonable bail without just cause. “We’ve gone from a time when the constitutionality of the section was barely upheld by a majority in Hall to a very expansive reading of the provision that will inevitably lead to greater numbers of people being incarcerated pre-trial,” Norris predicted. The Quebec Crown, which successfully appealed the release of a man charged with the aggravated assault of a Montreal bus driver in 2013, declined comment. 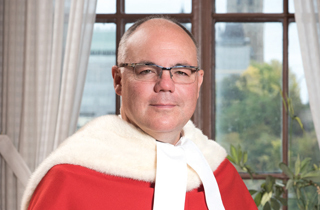 Stuart noted that since Hall, most judges at the appellate and lower court levels have treated “public confidence” as a tertiary ground under the Criminal Code for denying bail. The main grounds cited for bail denial have been the perceived risk that an accused won’t show up for trial (s. 515(10)(a)) and/or might endanger public safety (s. 515(10)(b)). The problem with exclusive reliance on the public confidence ground when an accused is not deemed dangerous or likely to flee is that the analysis can devolve into a subjective effort by bail judges to denounce particular crimes and/or to assuage inflamed public opinion, Stuart said. “Each judge now will have the opportunity to say ‘I don’t like this type of offence so therefore we should deny bail — the public won’t stand for it,’ ” Stuart said. He added the court’s judgment is out of touch with the reality of bail hearings, which tend to be brief and one-sided (the Crown holds the evidentiary cards), lack disclosure, and in which the accused is usually represented only by duty counsel. A CCLA study last year noted that despite the decline in rates of violent and other crimes, the rate of pre-trial detention has more than tripled in the past 30 years. Meanwhile, two-thirds of those held in pre-trial detention are charged with non-violent offences. Moreover, 55 per cent of all those in jail were legally innocent people denied bail, or awaiting determination of bail. The Supreme Court ruling did not reference the CCLA study. The CCLA’s Laura Berger said the court has “interpreted the language in the Criminal Code in a way that we think opens the door to denying bail to more people more often. “A bail hearing is the first, and in many ways one of the most important, hearings in the entire criminal process because it really sets up the position of the individual accused for everything that is to follow,” she noted. Denying bail can negatively impact people’s ability to meet with their lawyers, review disclosure and provide a strong defence, she said. 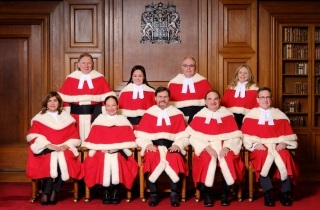 The public confidence provision was enacted in 1997 by Jean Chretien’s Liberal government after the Supreme Court struck down a predecessor provision which authorized the denial of bail in the “public interest,” a term the Supreme Court’s majority (including Chief Justice McLachlin) deemed vague and overbroad in R. v. Morales  S.C.J. No. 98. The Criminal Code says courts are to determine whether detention is necessary to maintain confidence in the administration of justice “having regard to all the circumstances,” including the apparent strength of the prosecution’s case, the gravity of the nature of the offence, the circumstances surrounding its commission and the potential for lengthy imprisonment. Justice Wagner also held that courts reviewing bail decisions do not have “open-ended” discretion to set aside decisions to release an accused or deny bail. Reviewing courts should only overturn bail judges in three situations: (1) where there is admissible new evidence if that evidence shows a material and relevant change in the circumstances of the case; (2) where the impugned decision contains an error of law; or (3) where the decision is clearly inappropriate. The reviewing judge thus does not have the power to interfere with the initial decision simply because he or she would have weighed the relevant factors differently. 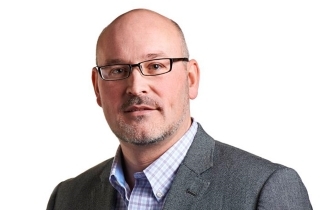 The Supreme Court ruled that the Quebec Superior Court erred by interfering with determinations below that Jeffrey St-Cloud’s pre-trial detention was necessary to maintain confidence in the administration of justice. Justice Wagner held that the prosecution’s case was strong (there was video and eyewitness testimony), and the accused did not appear, prima facie, to have a valid defence. The aggravated assault charge stemming from the brutal beating was also very serious, and the potential sentence, if convicted, was long. “The fact that an offence is violent, brutal or heinous is clearly an important factor that a justice can consider,” Justice Wagner said.